Australia vs India: For the first two Tests, Australia went ahead with four bowlers including three pacers and one spinner. Starc said that this is the right combination for them as it worked well for the team. Australia vs India 3rd Test: Australian tailenders contributing crucial runs in the first and second Test of the ongoing four-match series against India was one of the bright spots in the performance for the visitors and their paceman Mitchell Starc admitted that this is something that their lower batting order is proud of. Starc said that small partnerships towards the end of the innings helped them add some more runs to their scoreline and made India bowl extra overs. “It’s something our tail takes a lot of pride in. And then with the ball, we’re trying to do the exact opposite for them and try to get them out really quickly. 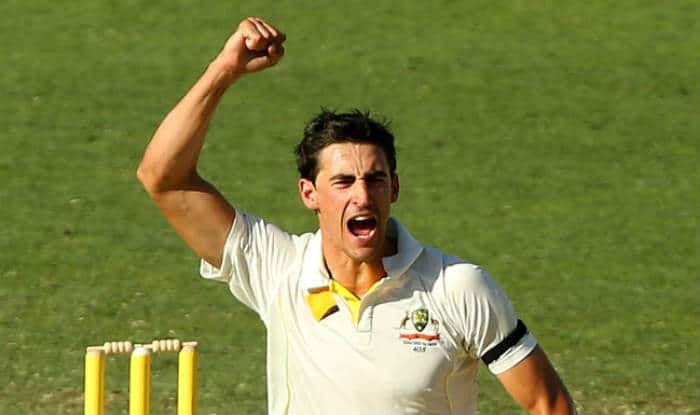 Those partnerships make India bowl a lot more overs and then the other three of us we just try and hang around a bit and score a few runs and face a few balls,” ICC quoted Starc, as saying. “It’s something that we all work really hard at and we have done for a long time. Pat [Cummins] is obviously fantastic at No.8. He plays a bit more like a batter than the other three of us. He can bat for long periods of time. It just showed in Adelaide [in the first Test] how many balls he can face and really he looks comfortable at the crease,” he added. For the first two Tests, Australia went ahead with four bowlers including three pacers and one spinner. Starc said that this is the right combination for them as it worked well for the team. “Whether we go with five bowlers or four … you’ve got Nathan Lyon there doing as well as he has done for a long time. It makes our job a lot easier because he’ll bowl a lot of overs and he’ll either not go for runs or he’ll keep taking wickets so for the other three of us to come on at the other end – if it’s just four of us – it’s something we’ve done for a while now,” he said. “We’ve done it for NSW [New South Wales], done it over the years as a group of four. We’re probably a few of the more experienced guys in the group now. We’ve learnt along the way and it’s fantastic the last two weeks how we’ve gelled together again as a group of four,” he added. After winning the second Test at Perth by 146 runs, Australia leveled the ongoing series against India 1-1. Next, both the teams will take on each other in the third Test which is slated to be held from December 26 to 30 at the Melbourne Cricket Ground.